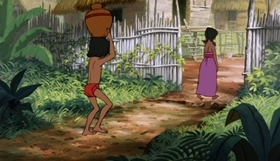 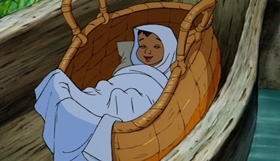 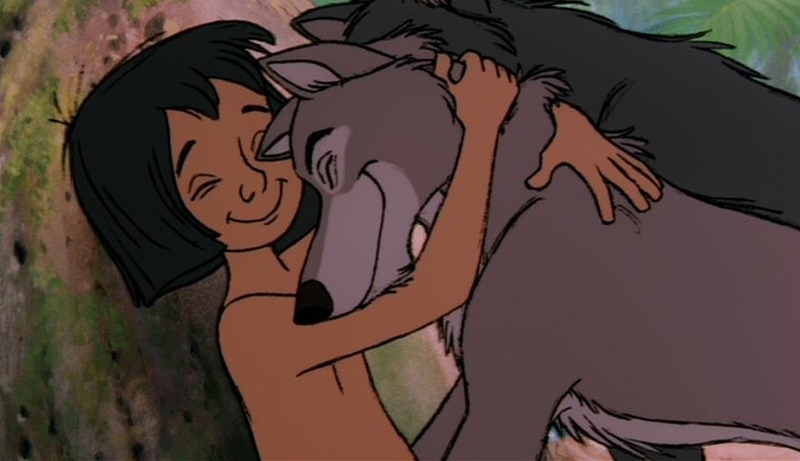 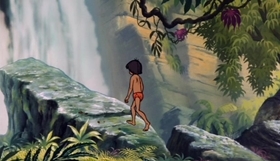 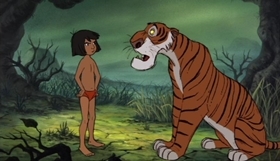 Mowgli, a boy raised by wolves, has to be taken to a man-village by his friend, Bagheera the panther, to protect him from the fearsome tiger Shere Kahn. 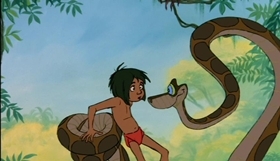 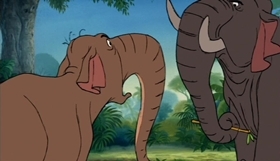 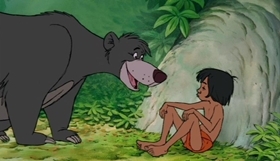 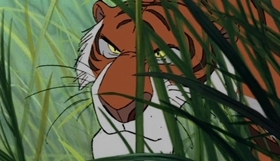 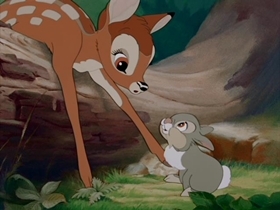 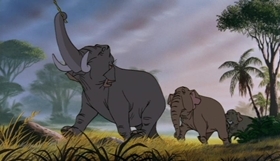 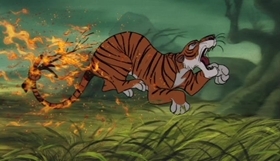 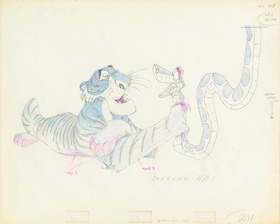 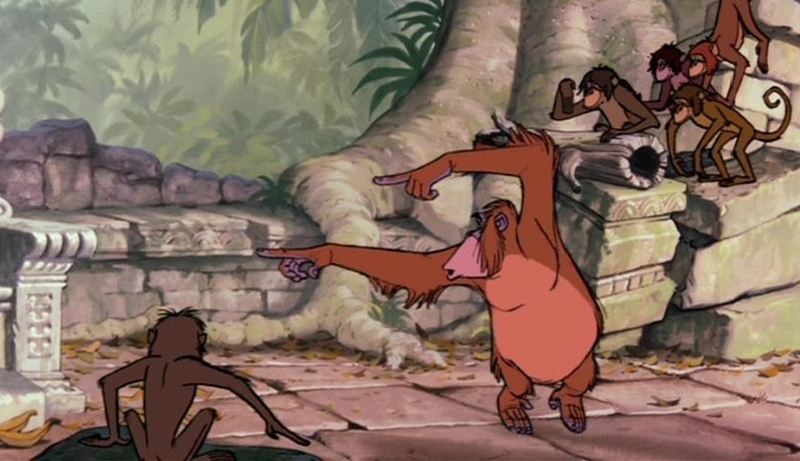 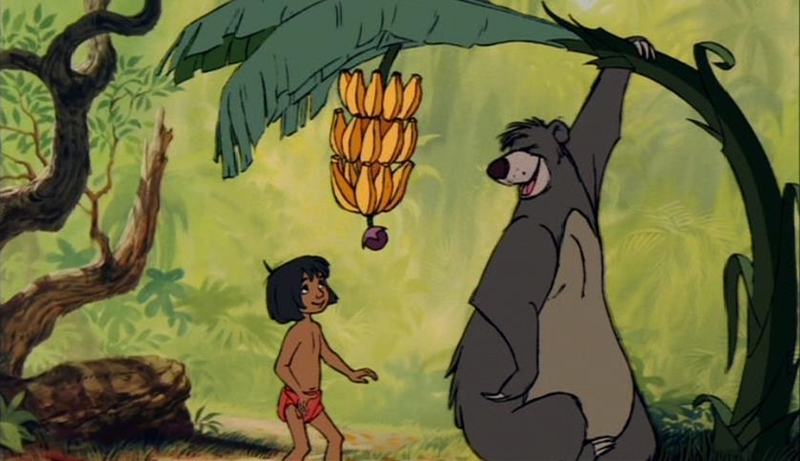 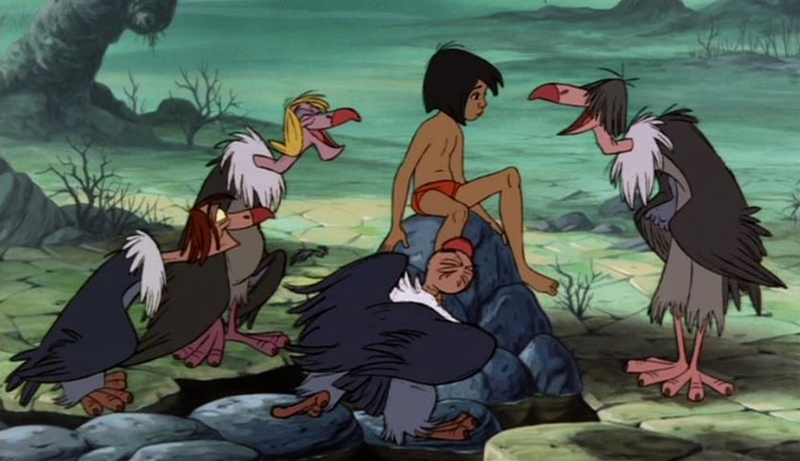 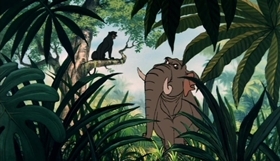 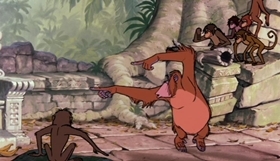 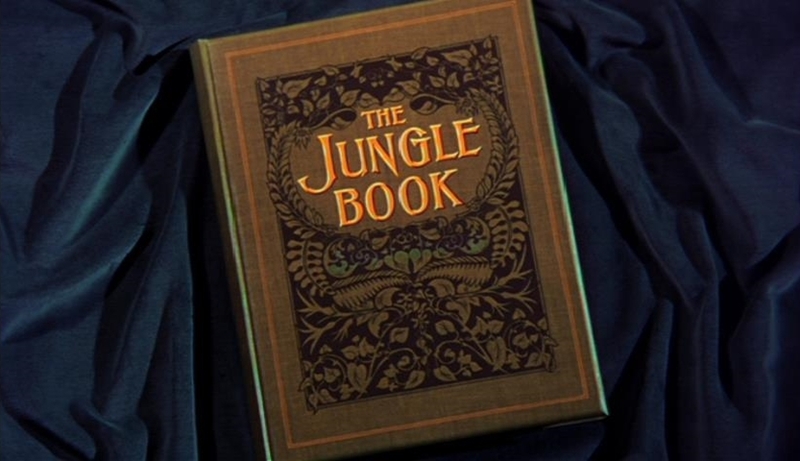 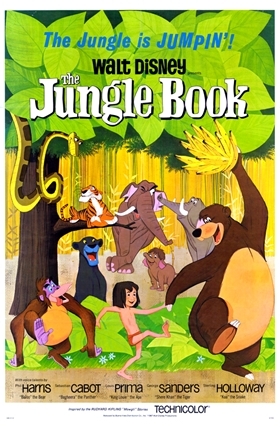 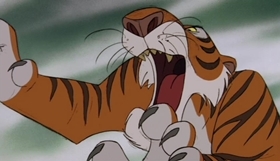 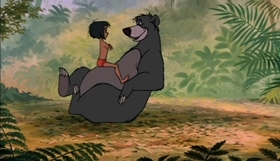 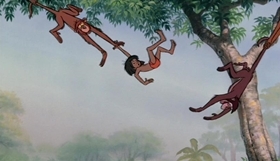 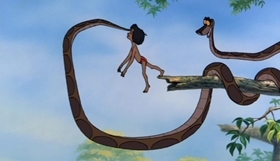 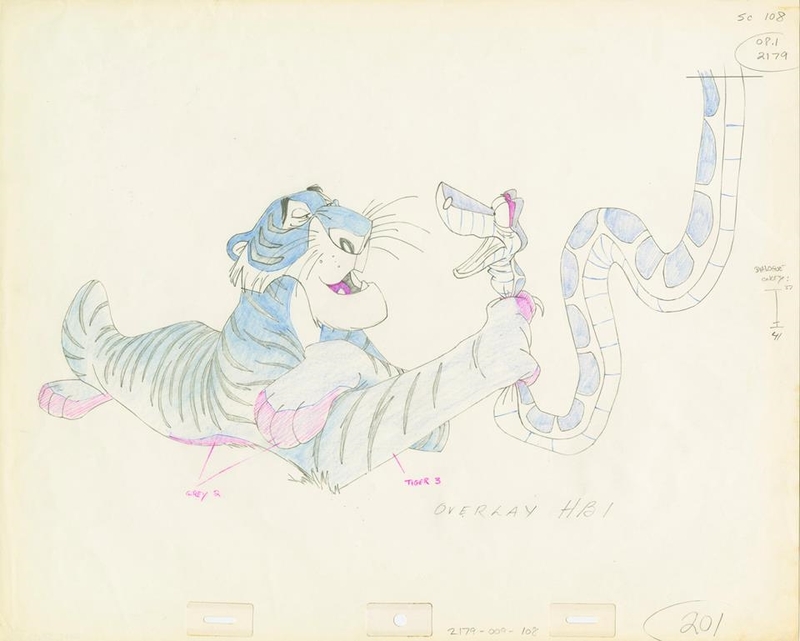 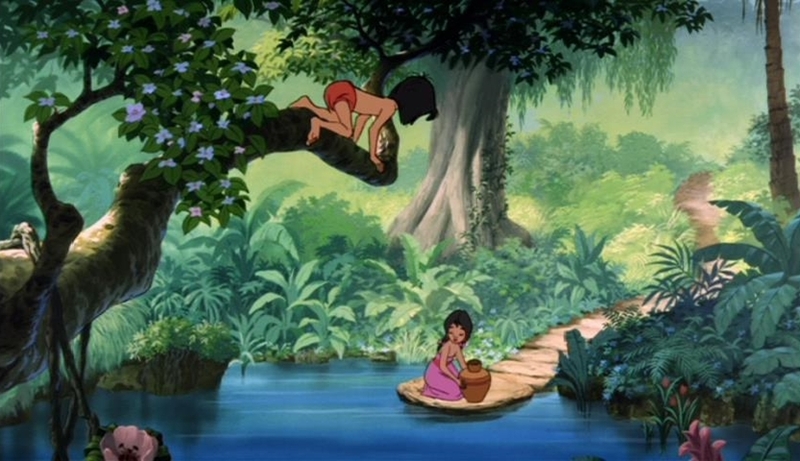 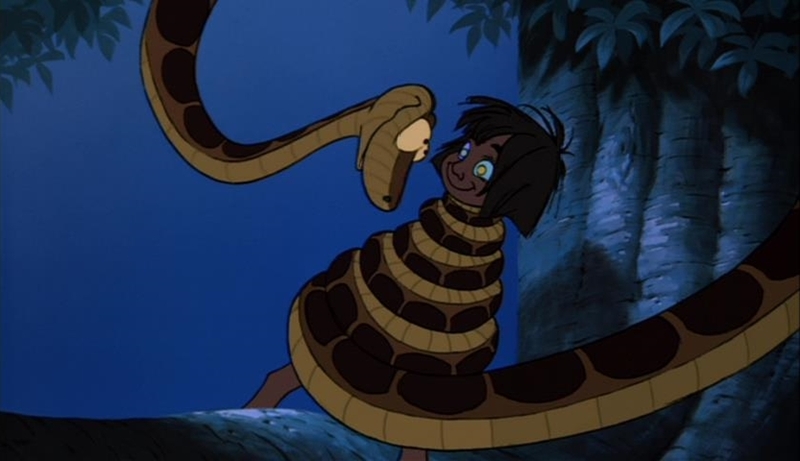 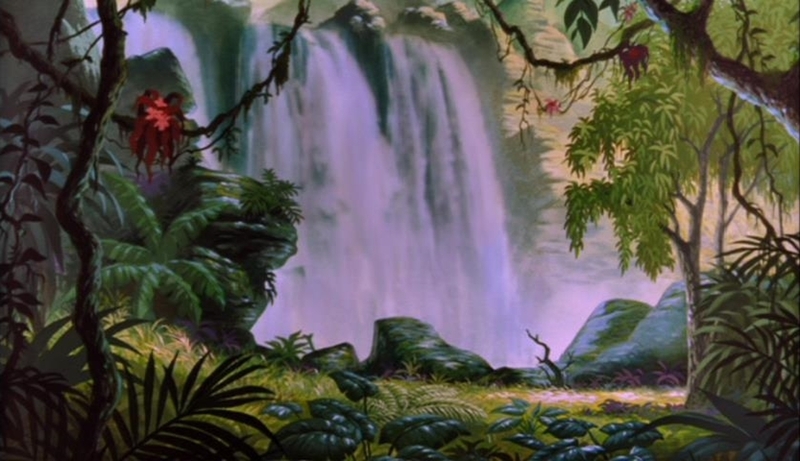 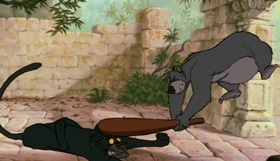 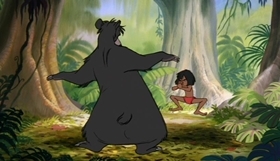 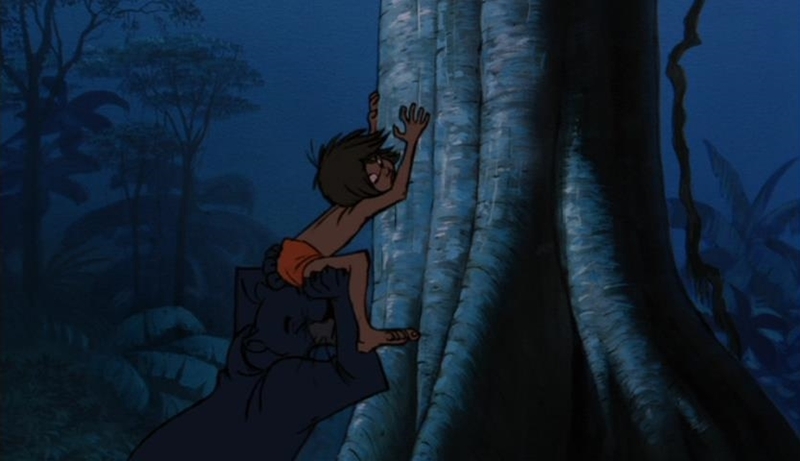 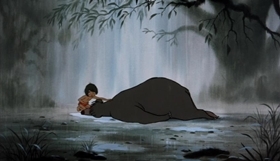 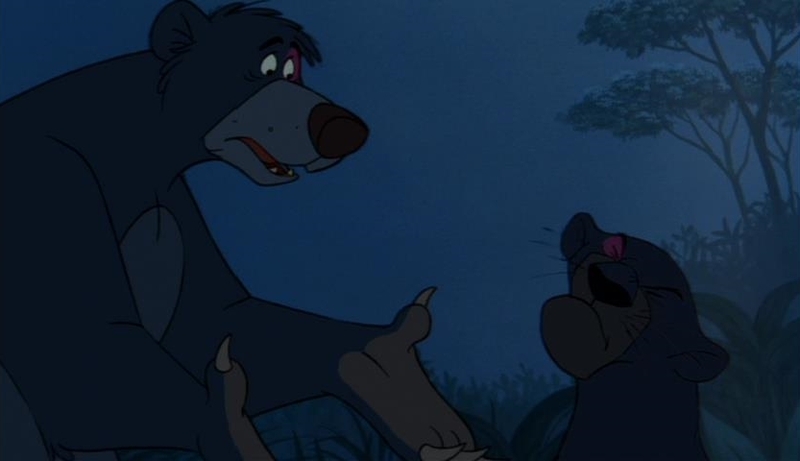 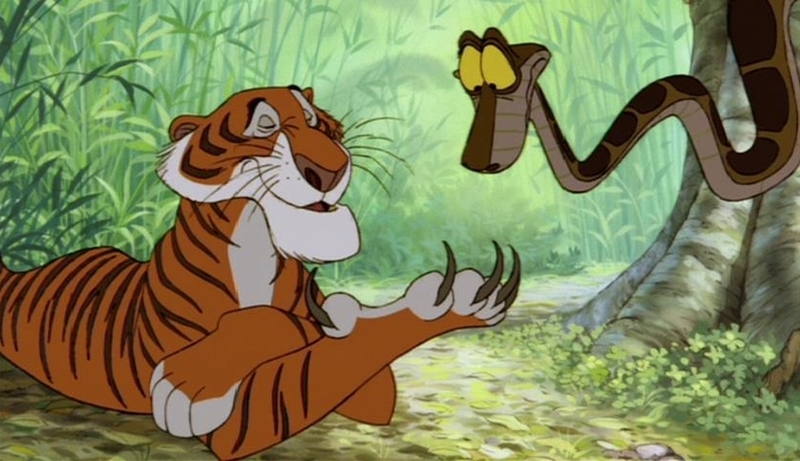 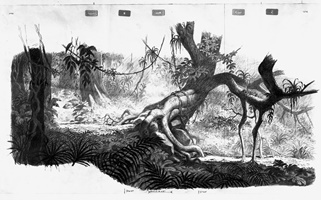 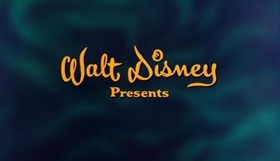 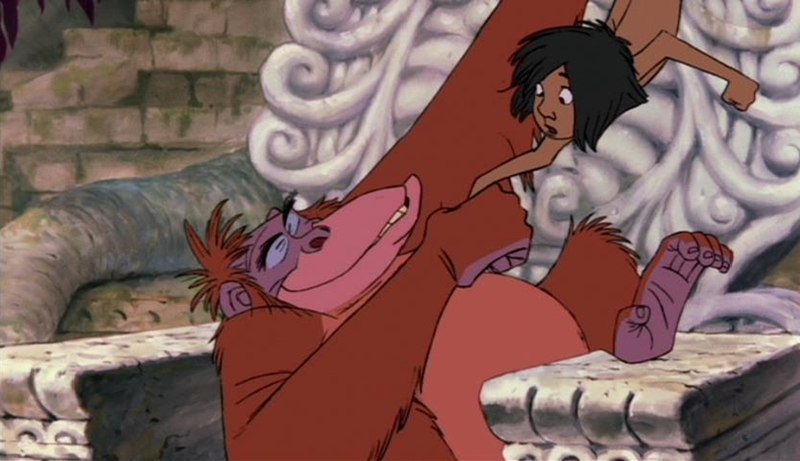 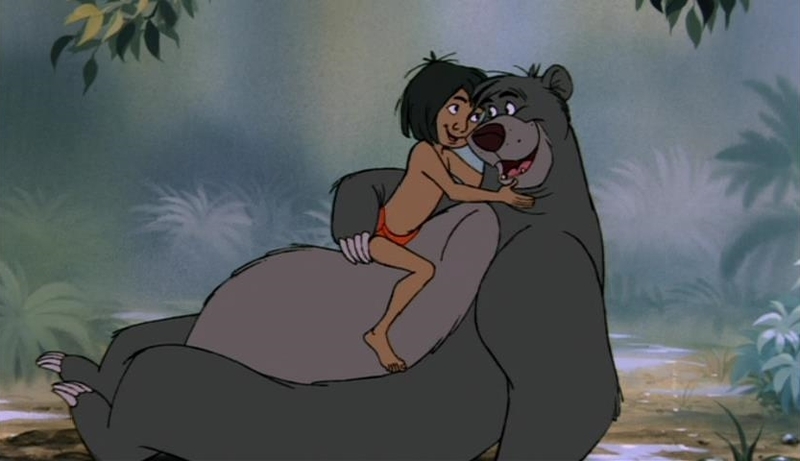 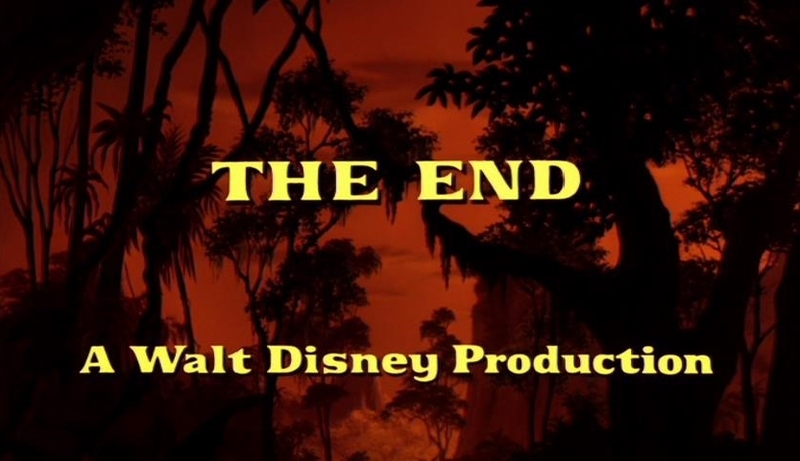 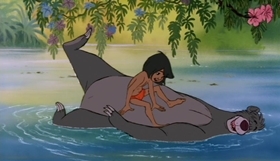 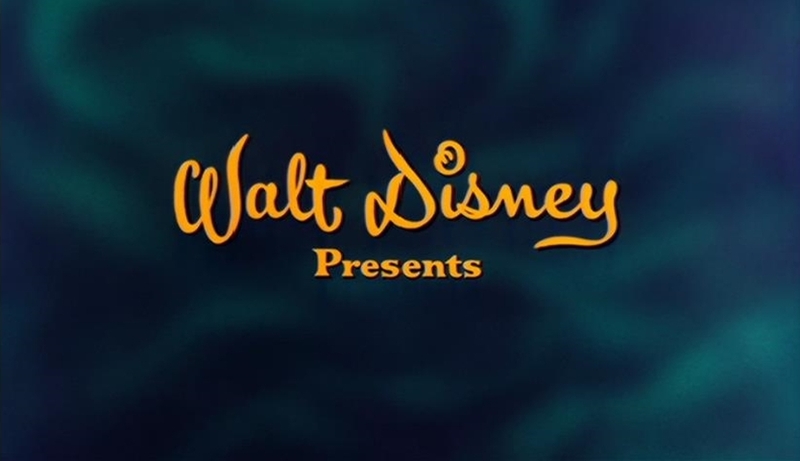 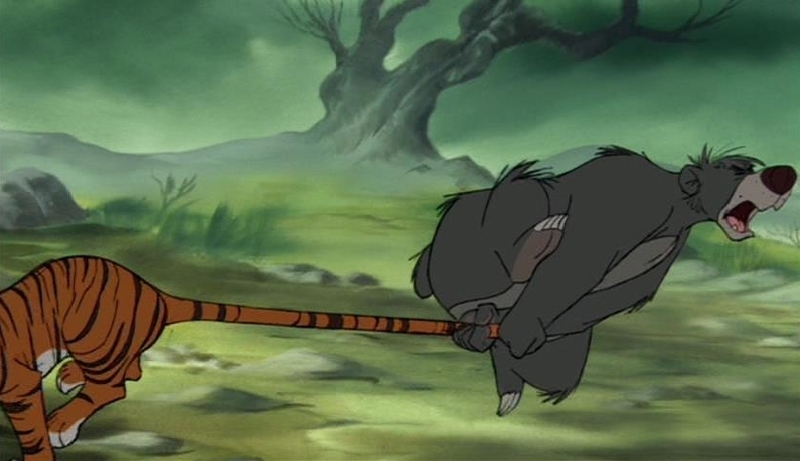 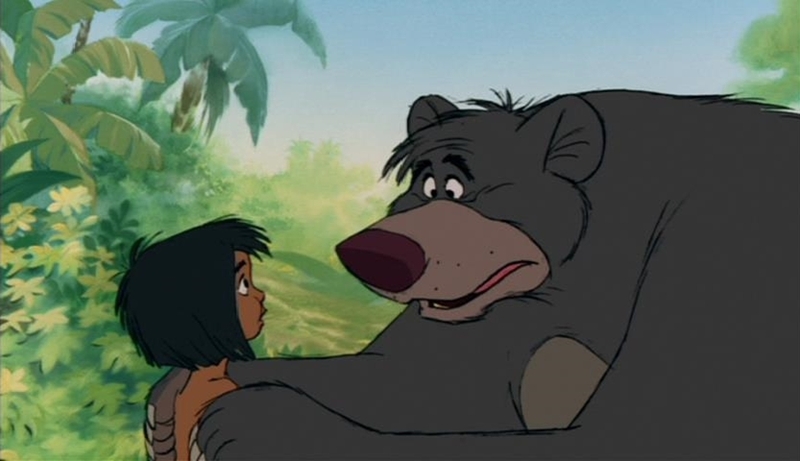 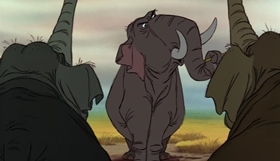 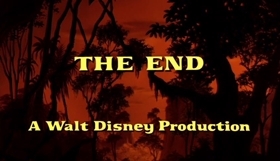 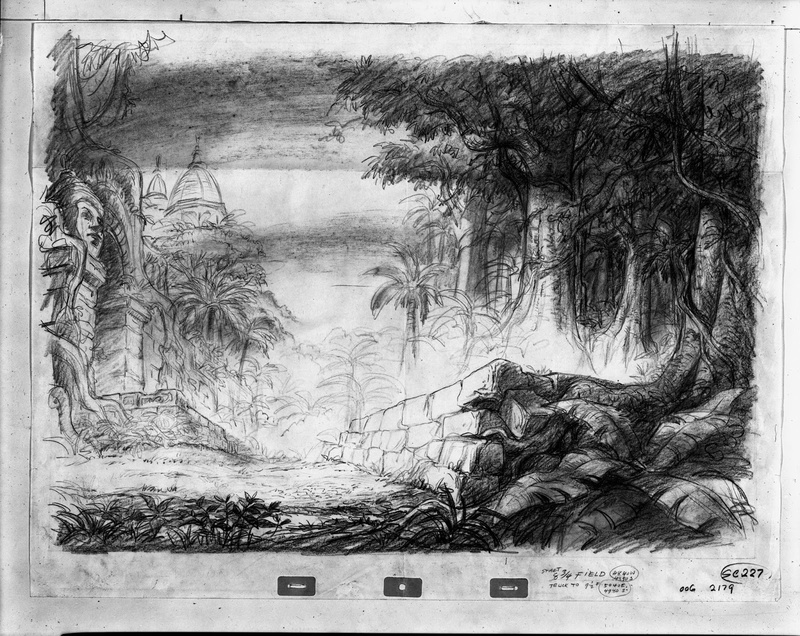 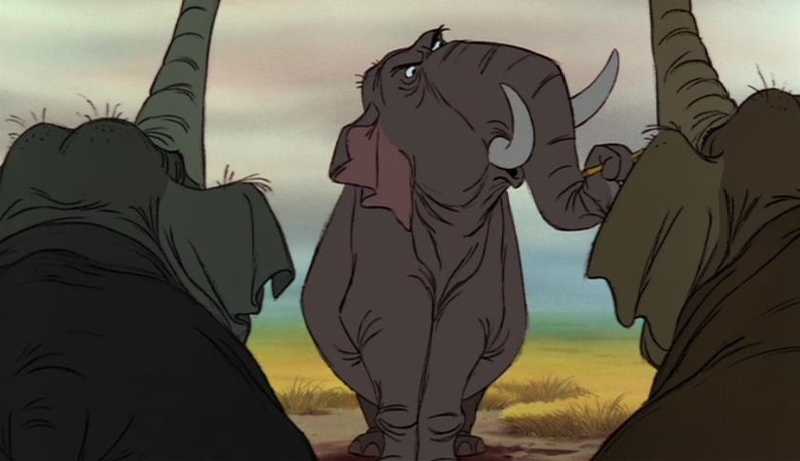 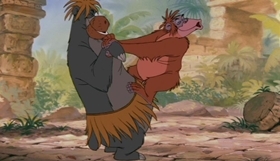 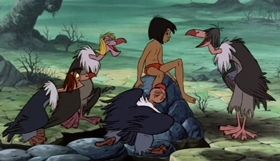 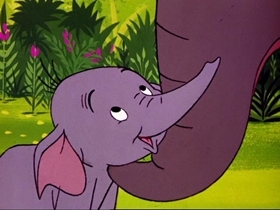 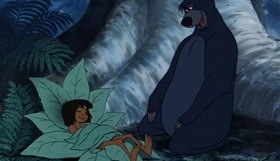 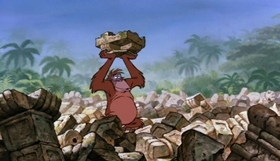 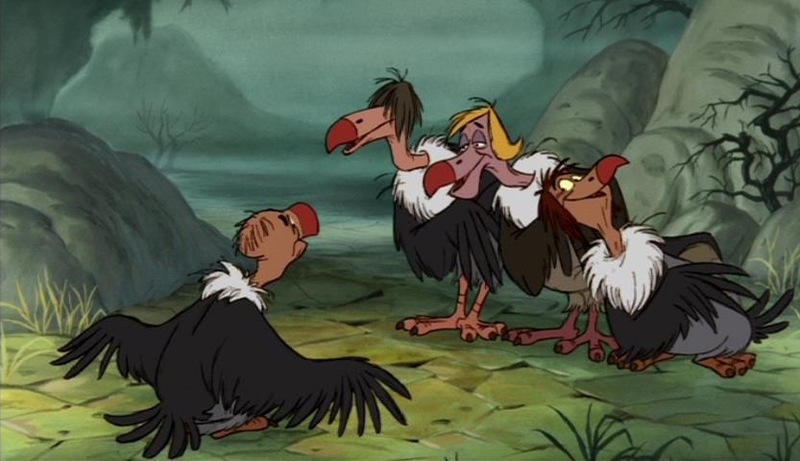 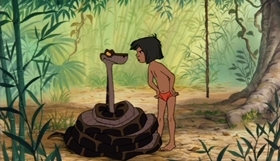 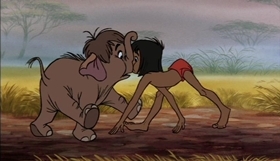 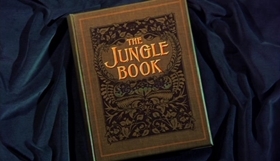 Along the way, Mowgli runs into Col. Hathi's elephant brigade, befriends bear Baloo, and has hypnotic encounters with Kaa the snake, before facing Shere Kahn himself. 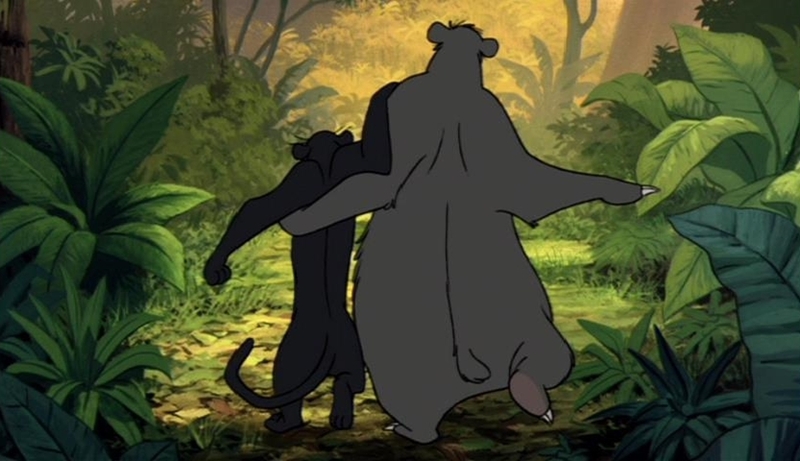 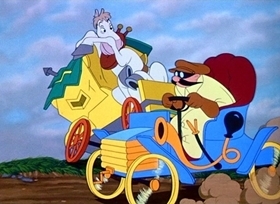 Richard M. and Robert B. Sherman : "Colonel Hathi's March "
Gilkyson, Terry : "The Bare Necessities "
Richard M. and Robert B. Sherman : "I Wan'na Be Like You "
Richard M. and Robert B. Sherman : "Trust in Me "
Richard M. and Robert B. Sherman : "That's What Friends Are For "
Richard M. and Robert B. Sherman : "My Own Home "
This was the last animated feature Walt Disney was personally involved with.